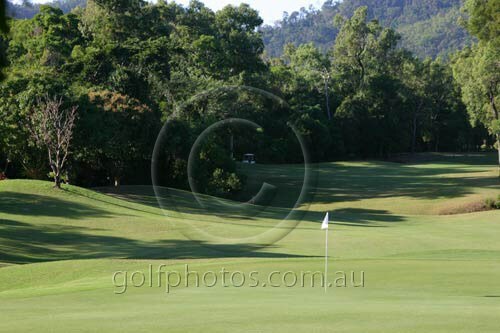 Established in 1930, Cairns Golf Club's 18 hole layout was redesigned by Ross Watson in 1992. 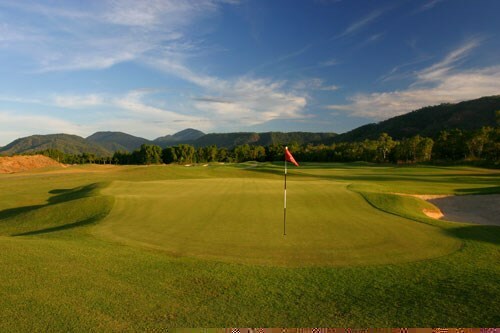 Set amid spectacular mountain scenery, the course features generous fairways and large greens making it player-friendly for members & social players. One of the standout holes is the par three 11th. 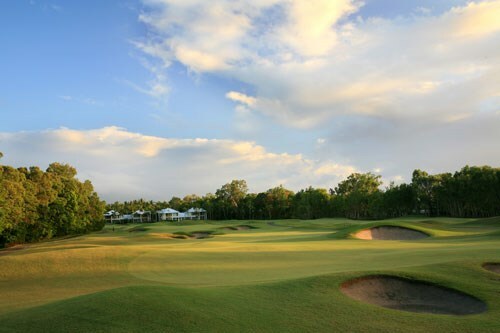 This hole presents golfers with a 151m carry over a large lake to a green backdropped by the course's signature pandanus palms. 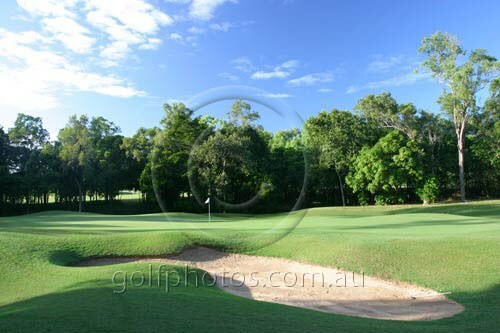 Established in 1930, Cairns Golf Club's 18 hole layout was redesigned by Ross Watson in 1992. 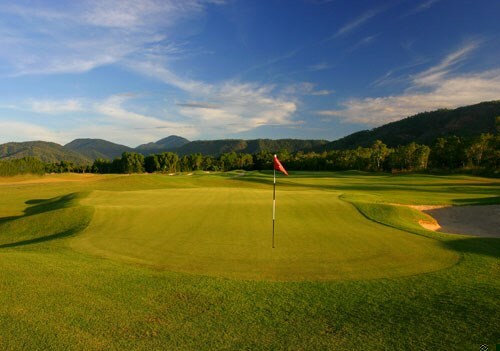 Set amid spectacular mountain scenery, the course features generous fairways and large greens making it player-friendly for members & social players. However for all major events the course proves a more challenging test. With the tees back and the pins tricky suddenly friendly becomes mean and the course proves that it can bite back. 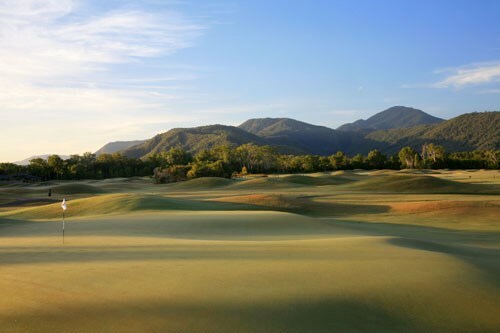 Mirage Country Club Port Douglas is rated as one of the region's best courses. 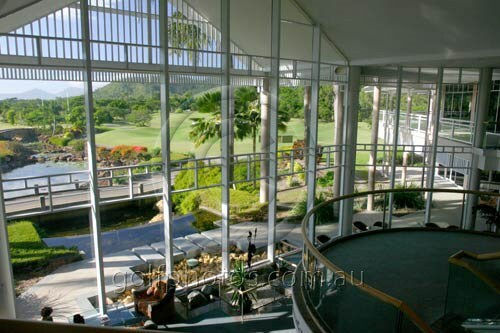 The golf course was designed by renowned golf architect Peter Thomson, and contains the usual combination of 6 par 3, 6 par 4 and 6 par 5 holes all within two quite different 9's with the bordering Coral Sea and the panoramic mountain backdrop providing the only distractions to a memorable round. 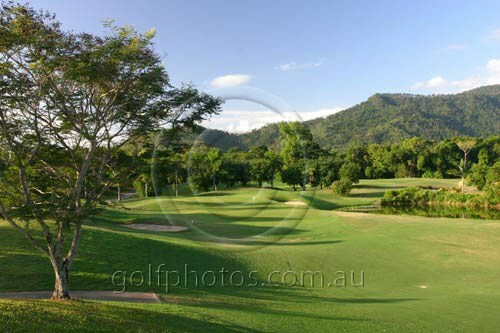 Mirage Country Club Port Douglas is rated as one of the region's best courses. 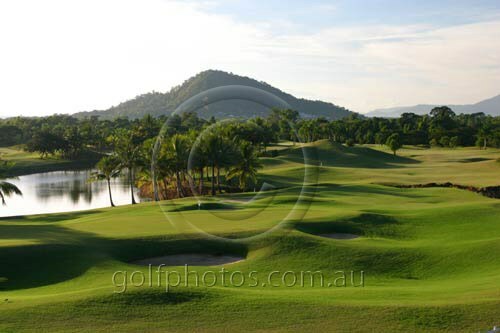 The golf course was designed by renowned golf architect Peter Thomson, and contains the usual combination of 6 par 3, 6 par 4 and 6 par 5 holes all within two quite different 9's with the bordering Coral Sea and the panoramic mountain backdrop providing the only distractions to a memorable round. 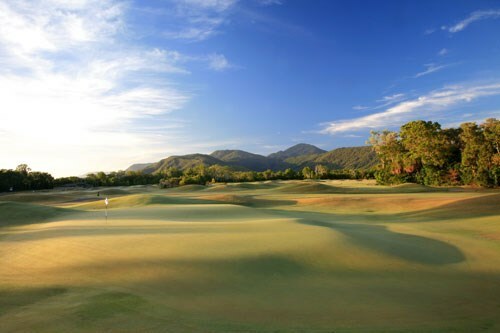 Located in beautiful Port Douglas in Tropical North Queensland, Sea Temple Golf & Country Club offers a links-style course with water hazards and undulating greens and fairways, not to mention the wonderful contrast of the Great Barrier Reef and the World Heritage-listed Daintree Rainforest. 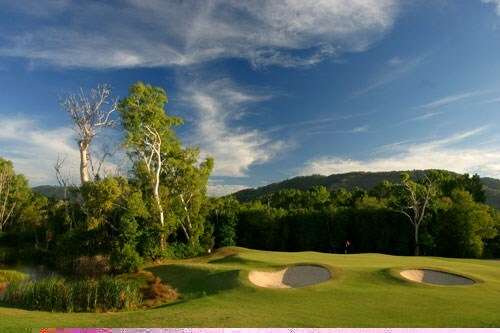 The combination of other top quality golf courses in the Cairns region (approximately one hour from Port Douglas) makes Cairns an excellent 7-day golf and relaxation getaway. 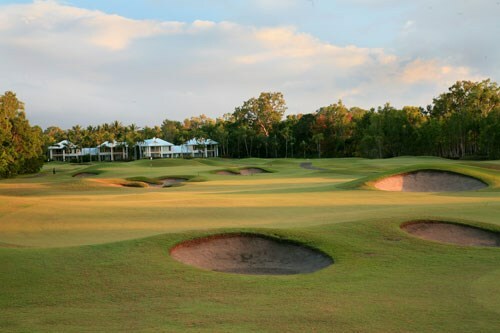 GOLFSelect can help you organise a memorable golf trip to Tropical North Queensland as well as many other great golf regions within Australia and around the world. Go to GOLFSelect holidays for more information. 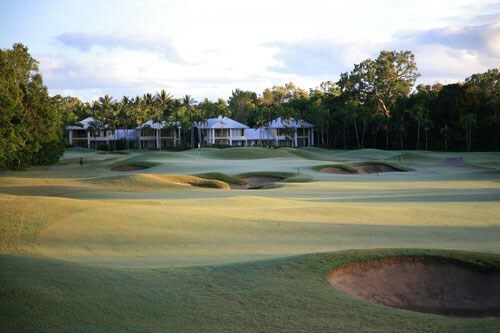 Paradise Palms Resort and Country Club is one of the true jewels of Tropical North Queensland. The holes are varied and interesting. There are no shared fairways and each hole has its own individual setting or backdrop, be it water, forest, rolling fairway or clubhouse. From every tee, the golfer is presented with a new challenge. 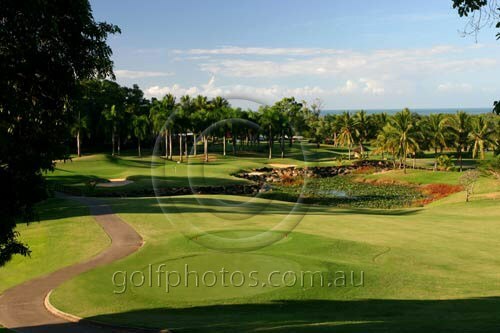 Paradise Palms is the premier course in Tropical North Queensland and boasts a collection of 18 holes which wind their way through well established trees, across water hazards with all shots played off their well conditioned fairways. 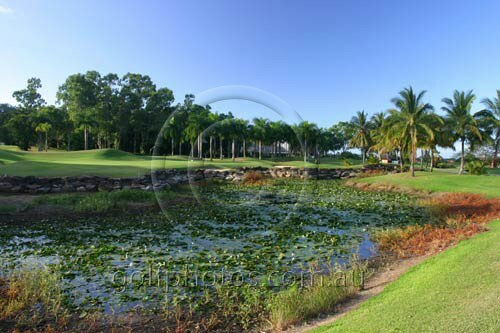 The course is rated high in the Top 100 courses in the country and it is easy to see why. 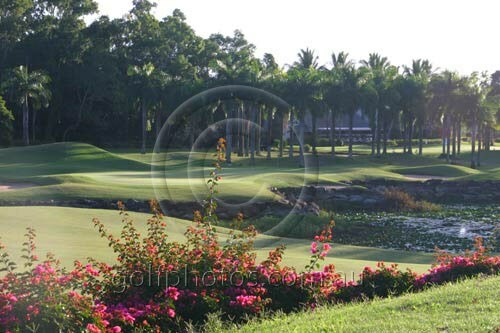 Paradise Palms provides an enjoyable golfing experience for all standards of golfers. There is more space to the right off the tee than you might think, so aim middle or right of middle off the tee. The second shot should then be played to the left side of the fairway. 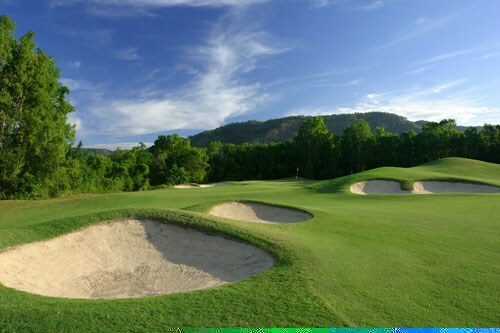 A player of average length cannot reach the fairway bunkers and will be left with a middle to short iron to the green. 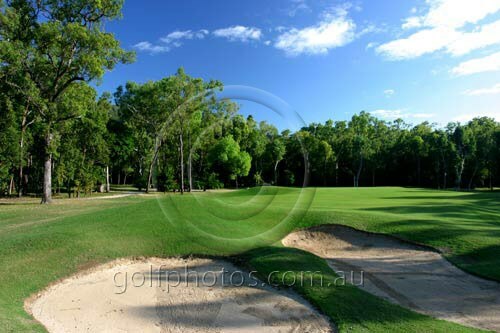 The tee shot needs to be played right of middle whilst avoiding the fairway bunkers on the right. The club chosen for the second shot will depend on the pin position on this long sloping green, and with green-side bunkers on the right, it is safer to hit to the left side of the green. The left side is preferable off the tee as it gives you a clear shot at the green for your second shot. Anything right will leave you with a blind second shot. A second shot played to the left side of the green gives you an easier chance to make par, due to the green-side bunkers on the right. This hole features a long green, so if the pin is to the back make sure you have enough club and take note of any wind. The right side is the easier pitch if you miss the green. Keep your tee shot down the left side unless you are a long hitter as this side of the fairway offers you a better chance of a clear second shot to the green. Steep slopes around the green call for an accurate approach. An extremely testing par 4. An accurately judged tee shot short of the creek allows a better chance of reaching the green in two. 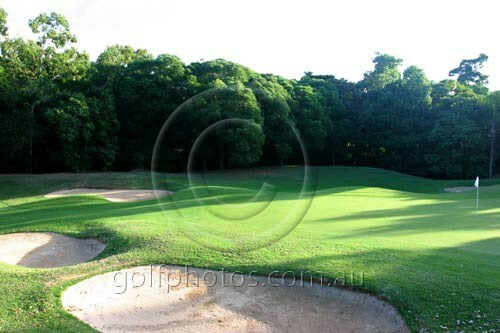 The safer option is to lay up short of the bunkers and rely on getting up and down for par. Our 'Signature Hole' and one of the prettiest, and most demanding par 3's anywhere. Although missing the green to the left is the safe option, the grassy hollows and sloping green call for an accurate pitch. Aim centre or right centre of the fairway off the tee to give you a clearer second shot down the fairway staying slightly right of the middle. This leaves you with a short iron into a long green. Position is important on this medium length par 4, and there is more room to the right off the tee than you might think. Make sure your second shot has enough distance to reach the various pin placements as this is a very long green. After driving short of the bunkers, be sure to hit far enough left with your second shot.The fairway slopes toward the lake, which guards the right hand side of the fairway all the way to the green. Unless you hit a good drive, it may be advisable to lay up with your second. If your tee shot is long enough to almost reach the bunker then you have an opportunity to play to the left side of the green. If not, a short iron will leave you a short pitch in. Take note of the pin position before selecting your club. 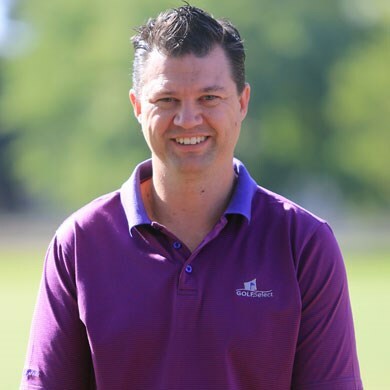 If you leave yourself a long putt it is very difficult to judge the line, so make sure you have enough club for your tee shot. The longest par 4, which usually plays into a prevailing wind.The left side of the fairway is the most direct and shortest way to the green. The second shot is played uphill to an elevated green. 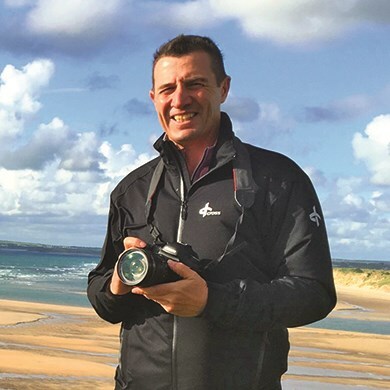 If you feel you cannot carry the bunkers short of the green with your second, lay up and rely on a pitch and putt for par. You have two choices. 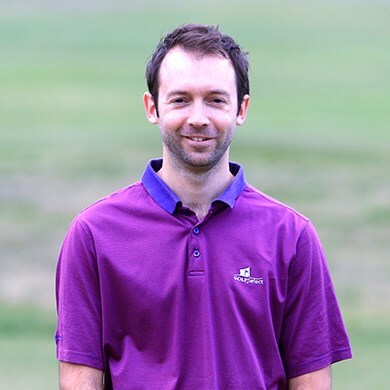 Lay up with a mid iron leaving yourself with a mid to long iron second depending on the pin position, or risk the driver to a narrow fairway leaving yourself a short iron in to a green split by a deep hollow. It is best to drive the ball down the centre right of the fairway. Long hitters could attempt to carry the fairway bunker on the left. Green-side bunkers are on the left, so it is safer to approach the right side of the green. The most difficult pin placement here is to the middle back where a high approach is needed to avoid bunkers both in front and behind this very narrow section of the green. Off the tee, take a club that leaves you just short of the fairway bunkers on the left leaving you with a middle to short iron into the long green. Missing the green to the right leaves you with an easier pitch shot. A player of average length can safely play down the left hand side of the fairway, leaving a middle to long iron lay up short of the creek. Long hitters have the option of driving down the right side, taking on the carry, giving a chance to reach the green in two shots. Mantra Esplanade, Cairns is situated on the waterfront Esplanade, a central location just steps to the yacht harbour, lively street cafes, upscale restaurants, duty-free shopping, casino, and the Cairns Esplanade Swimming lagoon. Whether you're looking for fun, adventure or lazy days in the sun, Mantra PortSea is the place to be when it comes to Port Douglas resorts. 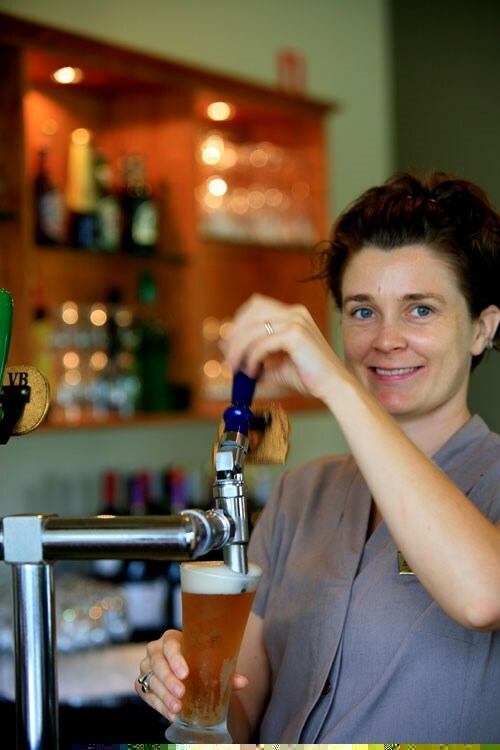 Located just a few metres from the beach, and a 15 minute stroll to the heart of Port Douglas and Macrossan Street, our family-friendly hotel has all the features of a modern beach resort including three stunning pools, a gym and tennis court. The Sea Temple Resort & Spa is set on 10 acres of tropical beachfront that adjoins the beautiful Four Mile beach. All rooms have exceptional views, including a grand central lagoon pool, fully equipped gymnasium and beachfront access to Four Mile Beach. The resort has been designed with the utmost luxury and sophisticated relaxation in mind.